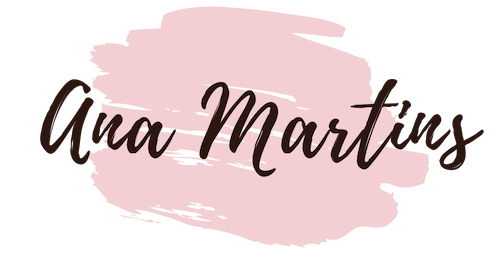 I have previously done a video about myths of interior design (I will leave it in the end of this post – is a Portuguese video btw), and not painting your walls a dark colour is one of them. It all depends on the space, the light and the design you want to achieve. 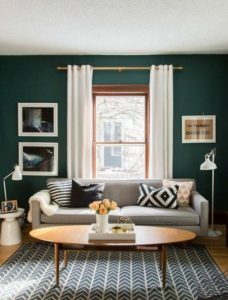 Make sure that the room you are painting with a dark colour has a lot of natural light. 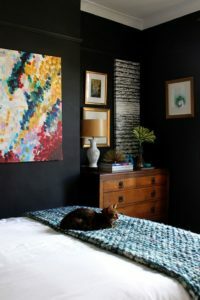 If the space doesn’t get any natural light, the room will look even darker and out of life. You can complement natural light with well located artificial light, but artificial light shouldn’t be the only source of light in the room. 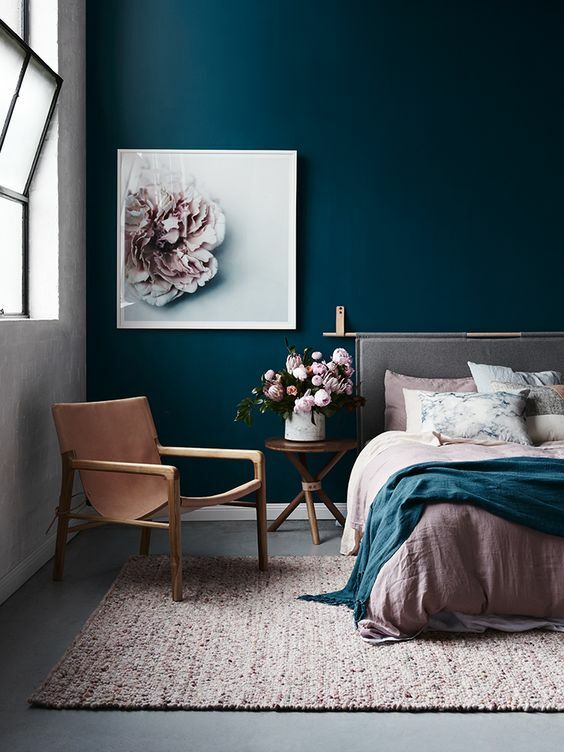 To be fair, dark coloured walls work well with all styles, wether it’s modern, classic or even a mixture of both. 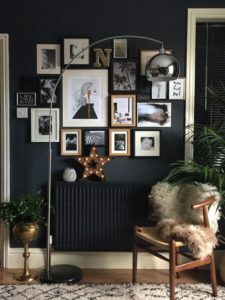 White frames for pictures and wall art look really cool with dark walls and help the space look lighter and brighter. 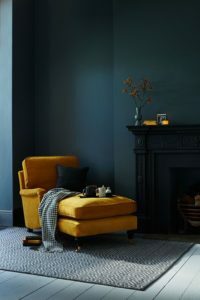 Also bet on lighter colours for your furniture and furnishings, it will give it a nice contrast. Not that it’s a rule, but bright and strong colours look great with dark walls. 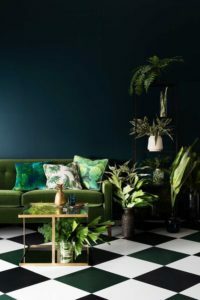 As you can see in the pictures bellow, bright colours make your space look super stylish and put together, just don’t over do it. 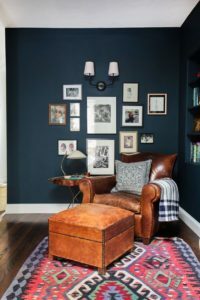 Once again, this is not a rule, but a great way to give warmth and coziness to your space. I have said this in previous posts, that using wooden pieces in their natural colour brings nature to the inside. Makes your space more comfortable and less cold. 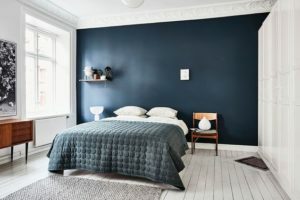 There are a number of dark colours you can choose to paint your walls with, but most of them are cold colours – black, gray, navy, dark green – what can make your room look cold and dull. Using wood, just like using bright colours, will help you turn your room into a very interesting space. 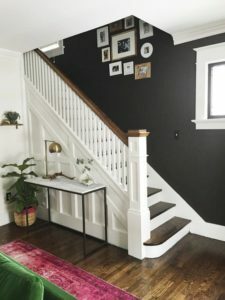 If having all walls of a room painted in a dark colour is not for you, or if you are not 100% sure it works for your space, you can always find a balance. 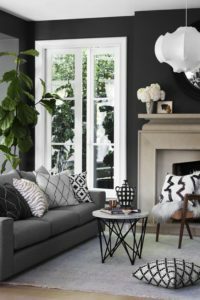 Painting only one wall with a dark colour is enough to add style and interest to a space. 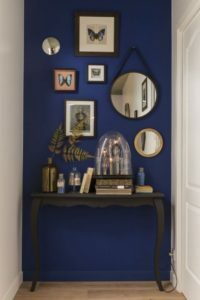 But if you do this, make it the feature wall, your focal point. Take inspiration from the examples bellow.